In this article I’ll share the results of ad-hoc security vulnerabilities research I’ve done on windows 8 apps deployment. Specifically, we’ll discuss fundamental design flaws that allow to Reverse Engineer Win8 apps, modification of installed apps and the negative implications on Intellectual Property rights protection, Licensing models and overall PC security. Finally we’ll discuss some creative ideas on how to mitigate these security issues. All Windows 8 applications in the developer preview are installed under the clandestine C:\Program Files\Applications location. I will hazard a guess and say that once the Windows App Store goes online it will install all apps under that folder. 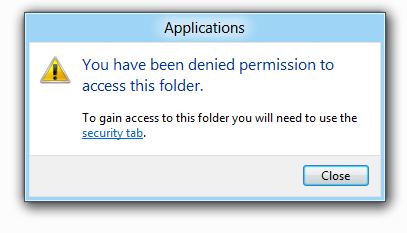 Currently the folder is an invisible one and cannot be accessed from Windows Explorer user interface on a new Win8 developer preview install. 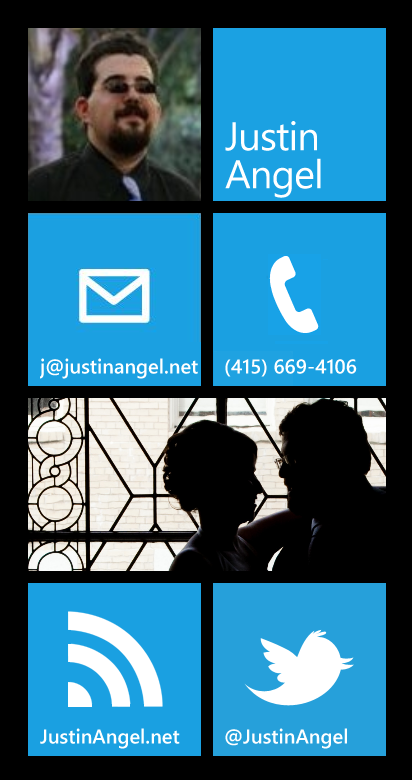 In essence you’ll need to navigate to that folder, hit “Security Tab” and set yourself up as the owner. Let me walk you through that process step-by-step. 1. 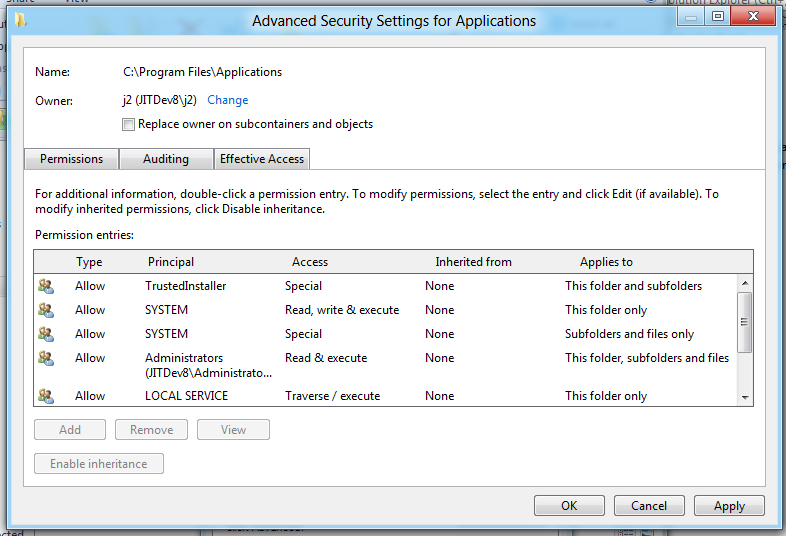 Type in “C:\Program Files\Applications” in the Windows Explorer address bar and hit enter. 2. 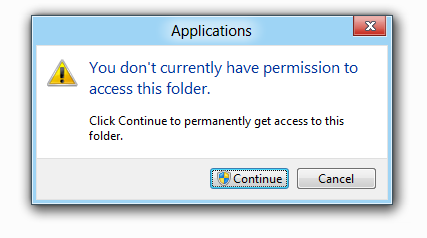 Observe in shock and dismay the system dialogue saying you don’t own a folder on your own machine. Hit “Continue”. Do not hit “close”, instead click the “security tab” link. 4. In the following system dialogue click “advanced”. 5. Click the “change” link in the owner security field. 6. 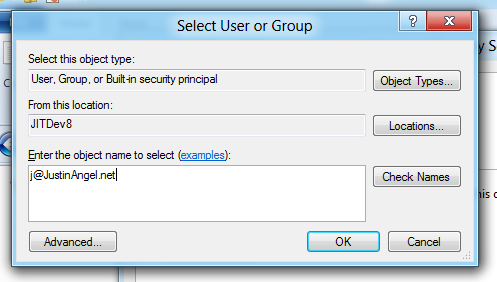 Add in your live ID or windows 8 user name to the “select user or group” system dialogue. 7. Click “OK”, Click “OK”, Click “Ok”. 8. 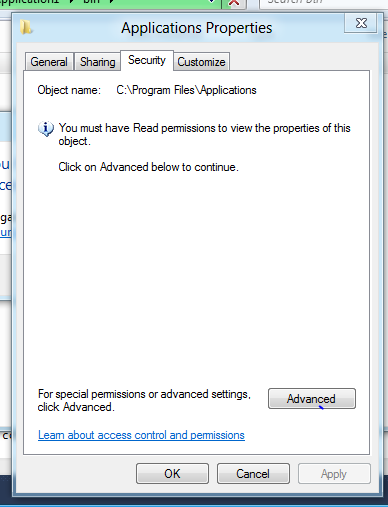 Type in “C:\Program Files\Applications” in the Windows Explorer address bar and hit enter. You now have access to the Applications folder. 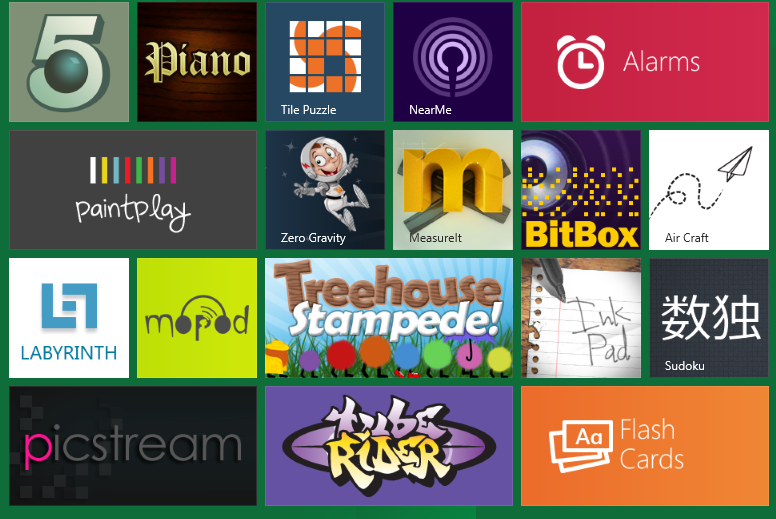 What type of apps ship with Windows 8? 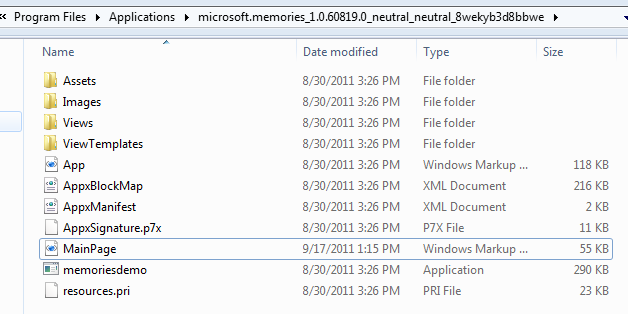 Looking at this folder it’s fairly easy to determine what type of apps ship with Windows 8 developer preview. For HTML apps the folder contains all of their source code and it can modified. For C# apps the folder contains the XAML source code and a compiled reverse-engineerable and modifiable version of the C# code. For C++ directX apps the folder contains compiled binaries. Honestly, C++ isn’t my specialty so I’ll avoid discussing it at any great length. Part of the problem with interpreted languages is that they don’t compile until the very instance they are executed. Which allows evil-doers to edit the code prior to execution. Notice that we’ve changed both the design and behaviour of the app by modifying the source code. The new design has a different title, and the new behaviour is using the picture of the logged in user as the background. We have the power to completely change both the visual design and the executing source code of HTML & CSS & JS win8 apps. Any unauthorized malware that gains access to C:\Program Files\Applications could potentially modify source code to execute in malicious ways. 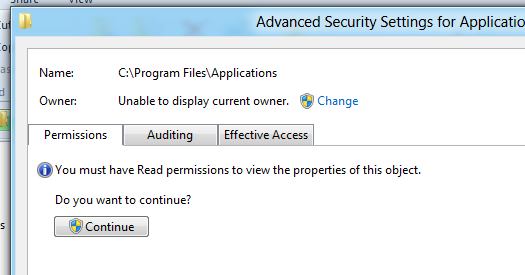 Since this is the direction Win8 apps are taking writing this type of viruses is likely to become a growth industry. If this set of problems are not mitigated, app piracy through app modification for Windows Store apps will likely become quite prevalent. C# code is shipped in compiled EXE & DLL binaries. 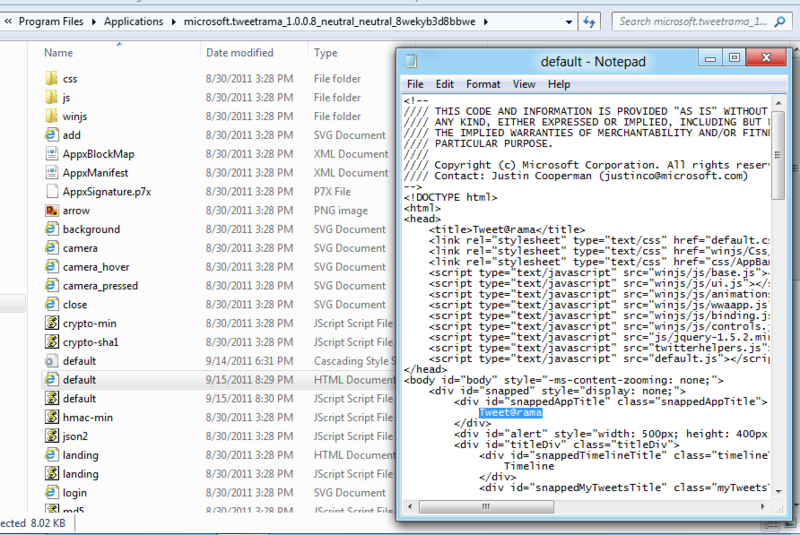 XAML is shipped as plain text source code. 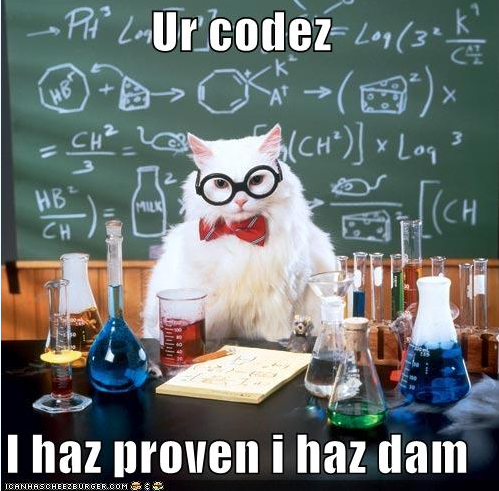 That makes both forms of code extremely susceptible to reverse engineering. 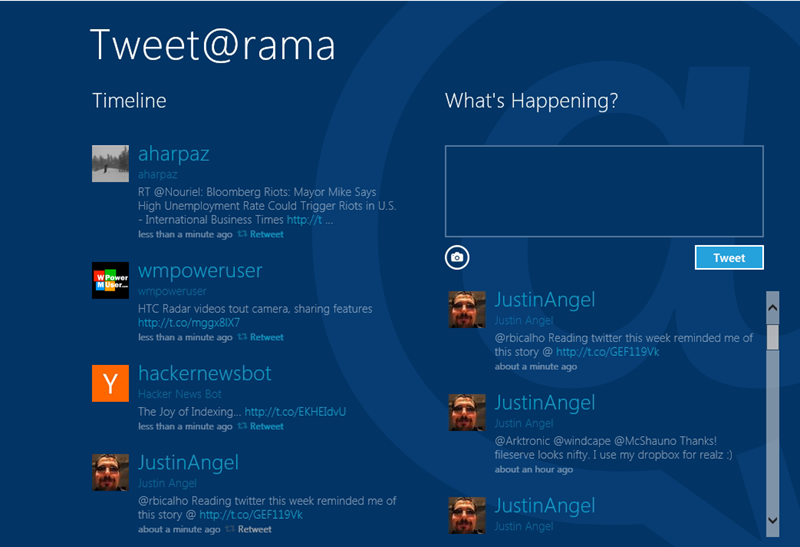 The XAML for Win8 apps is stored in plain-text and can be edited from any text editing tool. 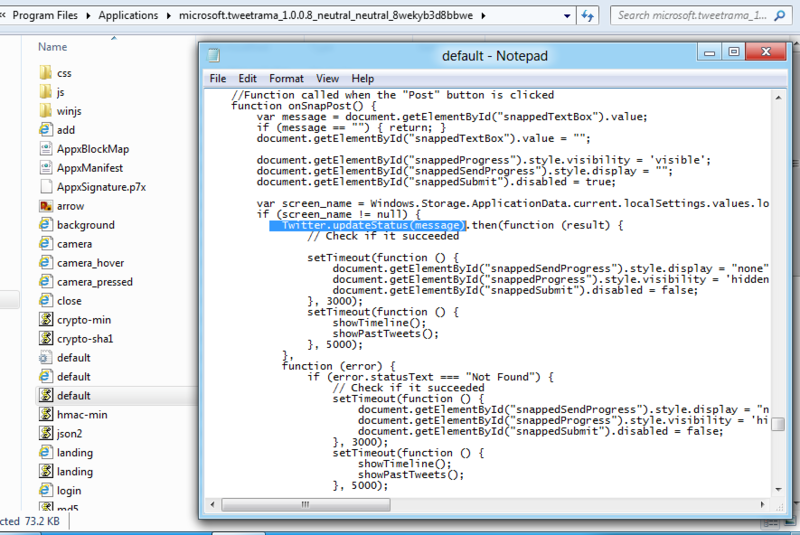 The .net binaries are unsigned and thus can be edit using the MSIL Weaving tool Reflexil. Following the http://go.microsoft.com/fwlink/?LinkId=195322&clcid=0x409 URL leads to a currently inactive URL of https://services.apps.microsoft.com/browse. I would hazard a guess that this is the URL currently being used to test the Windows App Store. What have we conclusively proven during this blog post? 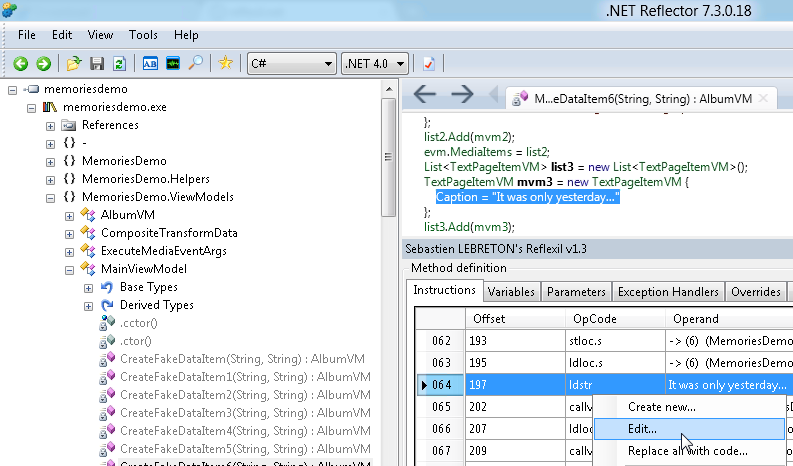 It is possible to reverse engineer and modify C#/VB.Net source code shipping with Win8 apps. 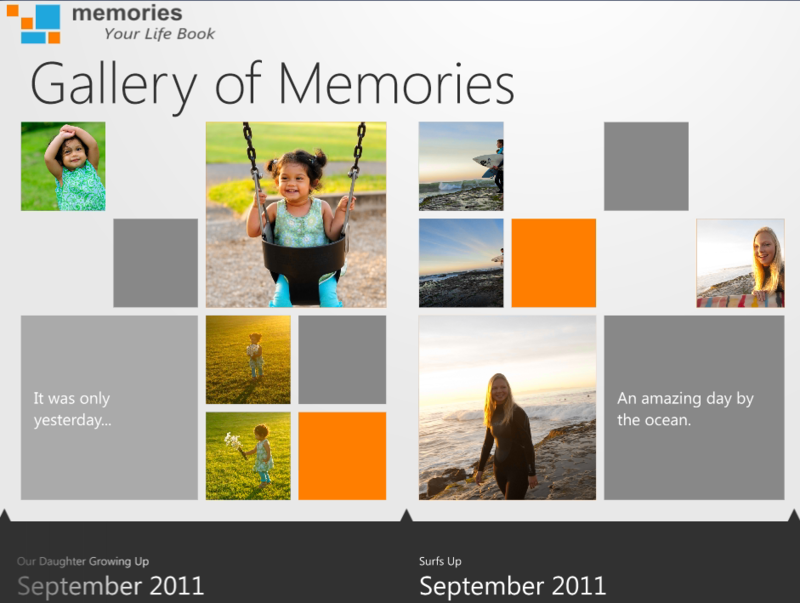 It is possible to reverse engineer and modify XAML source code shipping with Win8 apps. It is possible to (at some limited level?) 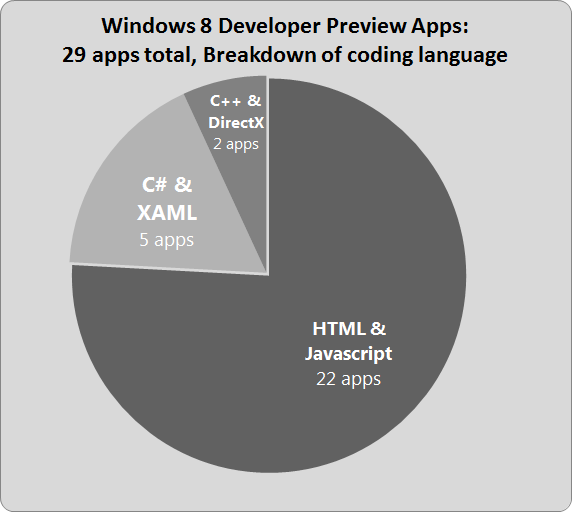 reverse engineer C++ Win8 apps. Can Microsoft completely solve this problem? No. In my opinion, apps shipping as part of all app stores will always be vulnerable at some limited level to reverse engineering and modification. Can Microsoft mitigate this problem? Yes, Microsoft can make apps significantly more temper-proof and pile a lot of hardships on those seeking to reverse engineer and modify Win8 apps. Assuming malicious code and people can’t access C:\Program Files\Applications seems naïve at best. Obfuscate C#/VB.Net projects by default: .net projects default to shipping with unobfuscated source code. If Microsoft is serious about introducing a Windows App store obfuscation has to be turned on by default for all .net project, not just a nice-to-have addon like it is right now. The VS2011 team should investigate and integrate an obfuscation solution directly into the product and turn it on for all new .net projects. This would make it harder to reverse engineer .net apps. Strongly sign all .net assemblies by default: Strong-signing has been part of the .net framework for 10 years now. Turn it on by default with a unique developer license certificate for all Win8 .net apps. Make sure Win8 AppContainers only run signed apps, don’t even have a hidden registry key to enable unsigned apps (like WP7 does). That would make it harder to modify .net apps. Don’t store App’s executing files as plain-old files on the user’s hard-drive: It shouldn’t be possible to even see the files shipping with an app by default using just Windows Explorer. A lossless compressed folder with DRM protection would be a good step forward here. 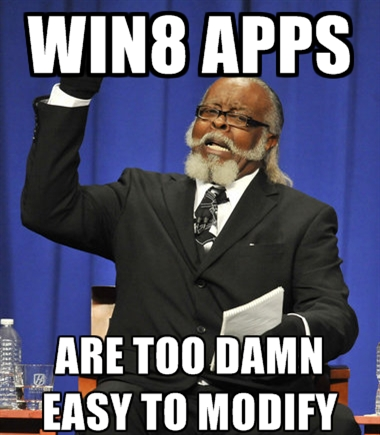 This should make it harder to reverse engineer Win8 apps. tl;dr: If Microsoft doesn’t undertake the aforementioned steps or comparable ones it’s not because it can’t, it’s because it doesn’t want to. 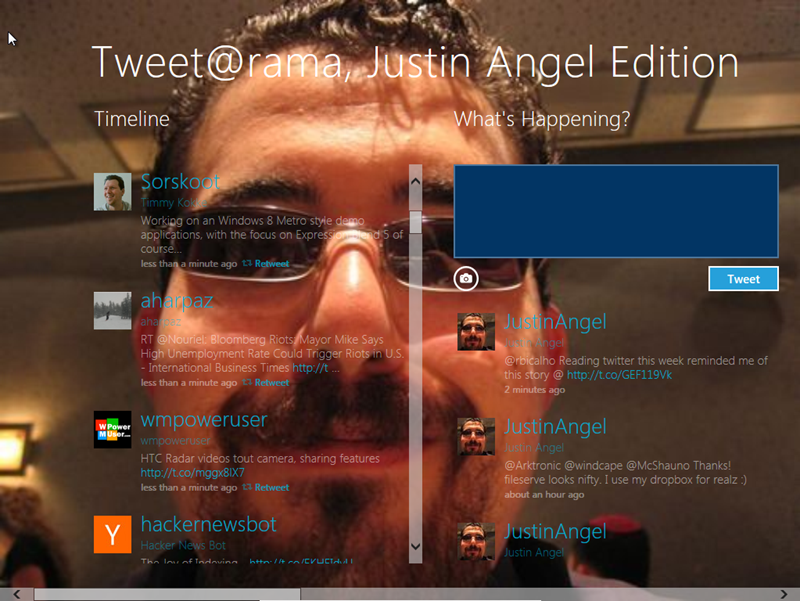 If Microsoft chooses to ignore this problem for the remaining one year (?) 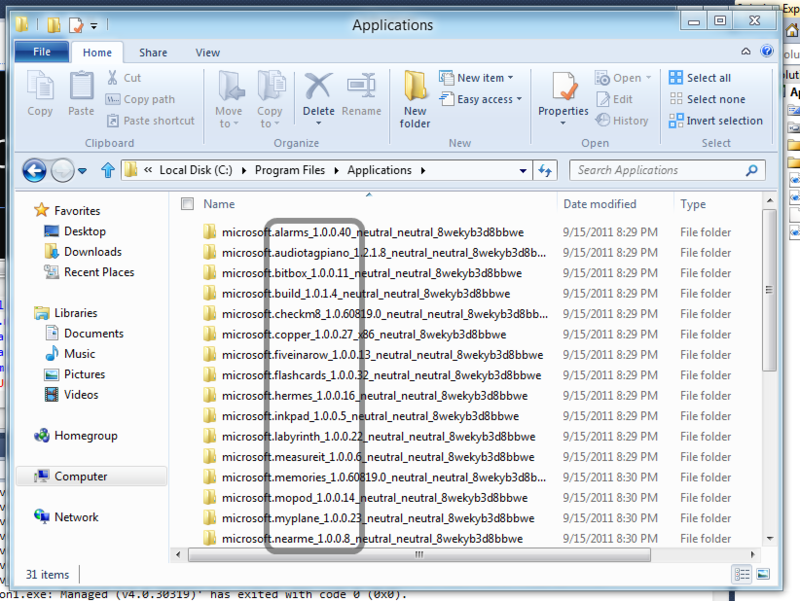 development lifecycle for Windows 8 then it’s not because it couldn’t solve these problems. 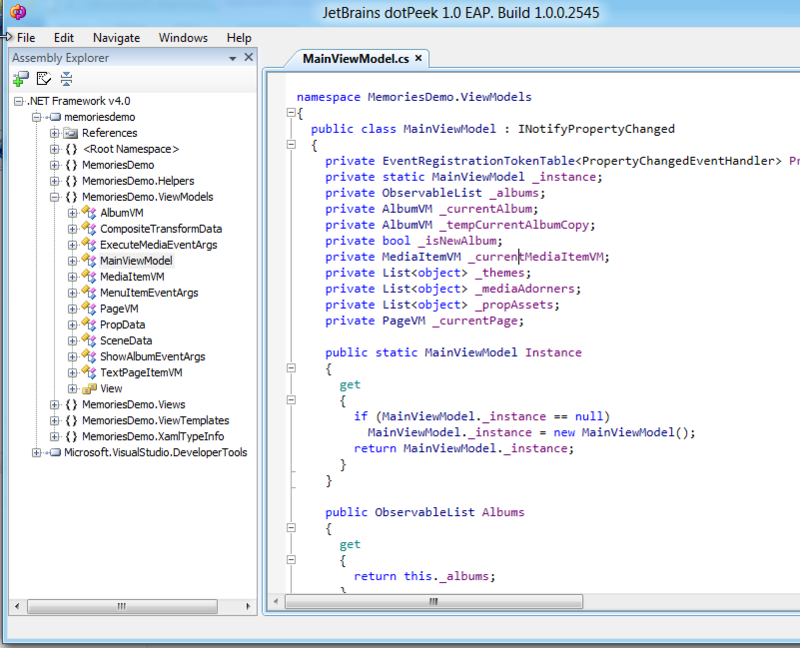 Apps deployed by Visual Studio 2011 do not get deployed to C:\Program Files\Applications but rather get deployed to C:\Users\<UserName>\AppxLayouts. The alternate location for Visual Studio app deployment and all other app deployment are controlled by the registry folder HKEY_CURRENT_USER\Software\Classes\Local Settings\Software\Microsoft\Windows\CurrentVersion\AppModel. Have questions about the methodologies used in this article? Have more interesting workarounds you’ve tried and like to share? Have interesting suggestions for the Microsoft folks on how to help mitigate this problem? Published on 9/20/2011 12:00:00 AM by Justin Angel ©2019.